If you're wearing dentures, you may have found that they are sometimes uncomfortable or inconvenient. Dentures have a tendency to slip out of the wearer’s mouth and can make eating certain foods impossible. One of our most commonly heard complaints about dentures is that they make our patients feel older than they are or would otherwise feel. One of the best alternatives for conventional dentures is implant supported dentures. Berkeley implant dentist Dr. Ricky Singh is a skilled and experienced dental practitioner who uses the latest technology to achieve a beautiful denture results. Implant supported dentures share characteristics of conventional dentures and dental implants: the dentures are a single removable unit, but they're securely fixed to strong titanium implants that are integrated into the jawbone. How Implant Supported Dentures Can Change your Life? Implant supported dentures bear a strong resemblance to regular removable dentures, but they're stabilized in a way that gives them many advantages. • They don't slip the way regular dentures can. This means they're much less likely to interfere with speech, and they're easier and more comfortable to wear. • No slippage also increases the chewing power of implant supported dentures, allowing you to eat foods like steak, as well as corn on the cob, and apples and all of your other favorite foods. • Implant supported dentures don't cover the entire palate, so they look and feel more natural to wear and you can taste foods normally again. Another benefit of implant supported dentures is that because fewer implants are required per arch, the implant surgery is less invasive and more affordable than a full arch of dental implants. Having implant supported dentures fitted is a two-step process. First you'll visit our Berkeley office, where Dr. Ricky Singh surgically places the implants (typically only 4-6 are needed to replace a full arch of missing teeth). Once the implants are placed they need some time to heal and integrate into the bone to provide a secure post before the dentures are attached. 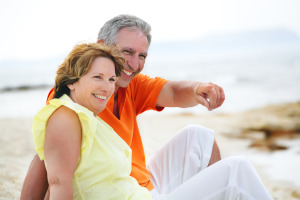 The dentures themselves are designed as a single unit that snaps securely onto the implants. They can be removed for cleaning and maintenance, and with good care will last a long time. If you're currently wearing dentures, have missing teeth, or need multiple teeth extracted, implant supported dentures may just give you a new lease on life. Our Berkeley implant dentist, Dr. Singh is ready to help you improve your oral health and maybe even a enhance your life. Contact us today.